Remember Sly Sludge, the villain from the popular 90s cartoon Captain Planet? Probably not, since he was a minor character voiced by Martin Sheen, and we’re always struggling for pop culture references here at Gizmodo. Nevertheless, the evil message of Sly Sludge—that we can’t just wish our pollution problems away—is currently destroying ecosystems at the bottom of the Mariana Trench. A new study in Nature Ecology and Evolution identifies “extraordinary levels” of toxic pollutants near the bottom of the trench, often referred to as the most remote place on the planet. The most concerning chemicals are known as persistent organic pollutants (POPs) which were produced for use in engine lubricants and flame retardant materials from the 1930s to the 1970s. Now, thanks to gravity and poorly-built landfills, these extremely terrible chemicals have made their way over six miles down into the ocean. POPs are really bad for a couple reasons. One is, obviously, the fact that they’re toxic for fish, animals, and humans alike. Exposure to these chemicals can cause illness, birth defects, and death, but that’s not even the worst part. As the name suggests, the toxins don’t break down in the environment. POPs also accumulate in the fatty tissues of organisms which mean they can be passed down the food chain ad infinitum. It’s like the perfect storm of pollution. This isn’t the first time we’ve found bad, human-made stuff making its way into the world’s deepest trench. 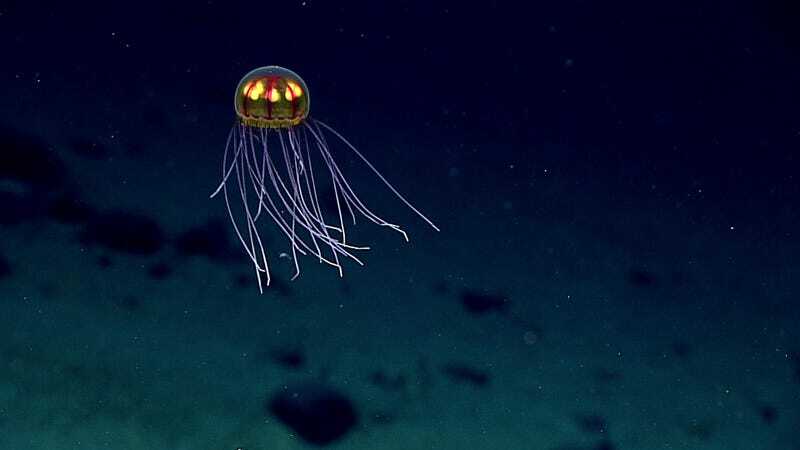 Just last year, another Nature study found evidence of other dangerous pollutants in and around the Mariana Trench. This news broke just a month after Oxford University finally gave up on its quest to find one last part of the planet that hadn’t been corrupted by humans. Which brings us back to the Captain Planet reference. It’s sobering that the hyperbolic portrait of pollution once presented in children’s cartoons is now found in places that literally could not be further from human populations. Sly Sludge was a bad guy because he’d claim to take care of waste management but would actually just dump waste wherever he wanted. It turns out, thanks to the horrors of chemistry and irresponsible industrial development, we’ve been doing this for decades.